Advanced melanoma patients who received an experimental patient-specific tumor stem cell therapy as part of several clinical trials experienced superior survival rates compared to patients who did not receive the therapy, according to a presentation by Robert Dillman, MD, during the Society for Immunotherapy of Cancer (SITC) annual meeting in National Harbor, Maryland. Dr. Dillman’s presentation, entitled High-dose IL-2 in Metastatic Melanoma: Better Survival in Patients Who Also Received Patient-Specific Autologous Tumor Cell Vaccine, highlighted results from retrospective analysis of Phase II clinical trials conducted at Hoag Hospital Presbyterian in Newport Beach, CA, where Dr. Dillman serves as Executive Medical Director of the Hoag Institute for Research and Education. 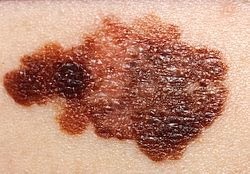 The analysis compared survival rates among patients with recurrent Stage III or Stage IV metastatic melanoma who had received Interleukin 2 (IL-2), a conventional therapy used to treat advanced melanoma, with or without a patient-specific cancer immunotherapy, known as “DC-TC” or tumor cells (“TC”). Survival was calculated from the date patients started IL-2. Patients who received the DC-TC therapy, before or after IL-2, had a five-year survival rate of 50% compared to 13% with IL-2 alone, and 28% for patients who received IL-2 and TC. The DC-TC therapy, which is in development by California Stem Cell, Inc. (CSC), takes cancer stem cells harvested from a patient’s excised tumor and isolates, purifies, and expands them in cell culture, then inactivates them by irradiation. CSC then combines this modified cell line with another type of cell, called a dendritic cell, derived from the patient’s own white blood cells, and reintroduces these cells to the patient in a series of injections. The therapy is based on the theory that dendritic cells can help train the patient’s immune system to identify and eliminate malignant cells. In previous publications, Dr. Dillman and his colleagues reported 5-year overall survival rate over 50% in metastatic melanoma patients treated with DC/TC (Cancer Biother Radiopharm 2009) and superior survival compared to the TC therapy in a randomized trial (J Immunother 2012). 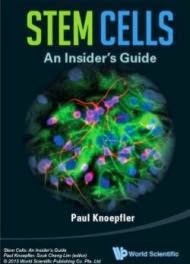 Recent reviews have suggested that this patient-specific approach with tumor stem cells may be the preferred strategy for anti-cancer cell therapies, and may enhance the benefits of interleukin-2 and newer immunotherapies such as ipilimumab and anti-PD1 monoclonal antibodies. "It is very encouraging that retrospective analyses of multiple clinical therapies continue to underscore the superior efficacy of our approach," said Hans Keirstead, Ph.D., of CSC.